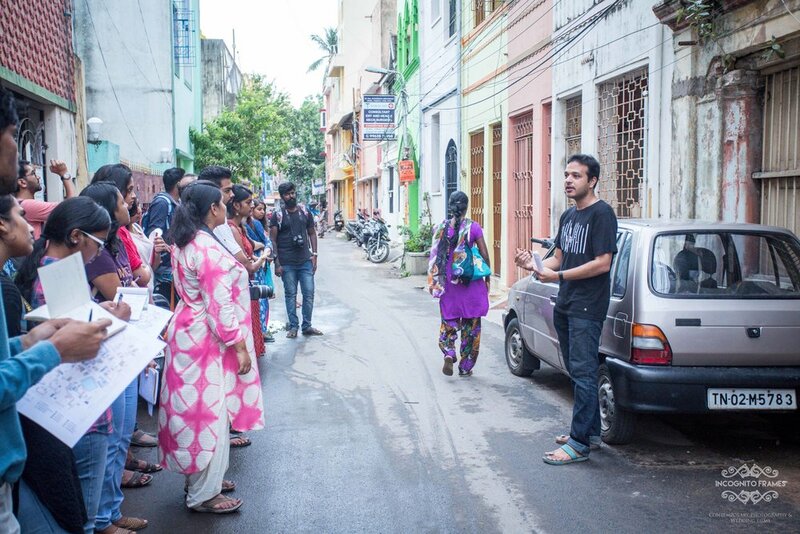 We took a heritage walk through Mylapore which was organised by Houses of Mylapore, who are doing an amazing job by documenting the heritage houses which is sadly disappearing. 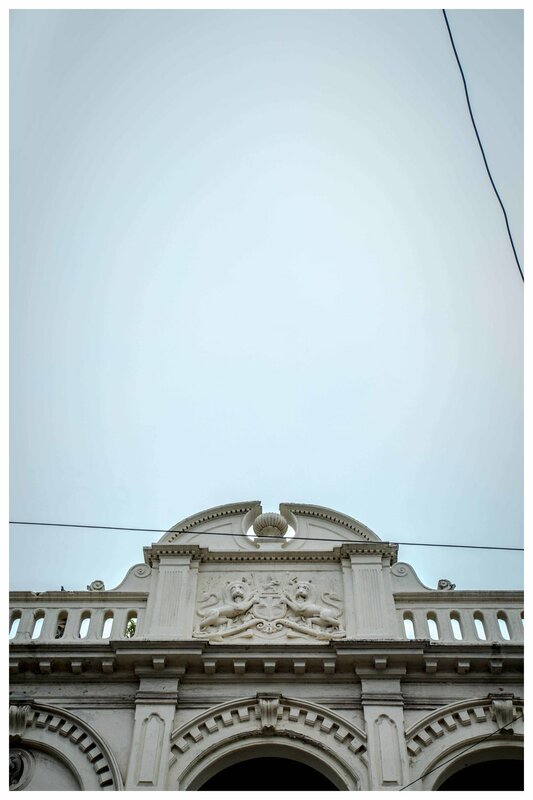 The walk was very informative and we would suggest anyone who loves to know more about the old school architecture, people who love old world charm or simply if you would like to know more about the city's past. 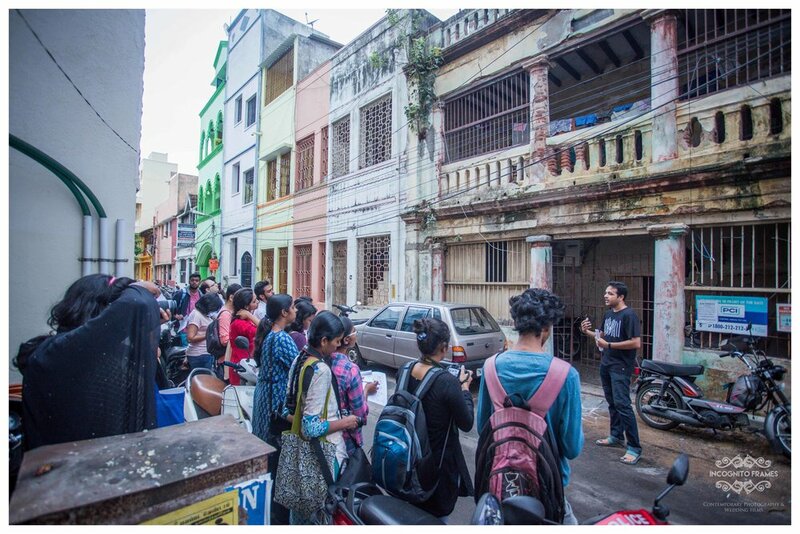 Mylapore is culturally and historically rich, where the old-world charm is spread all over the place, the epicentre for tambrahm culture in the city, a paradise for retro aficionado people like us. 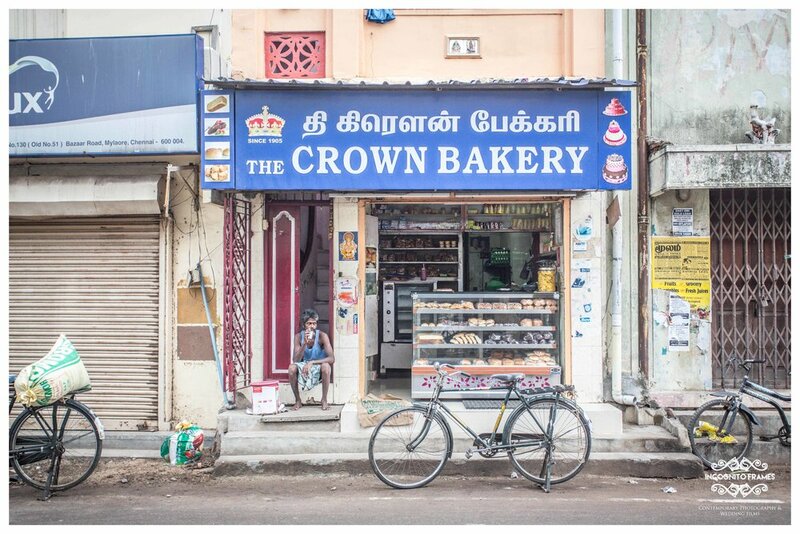 This is one of the few places in the city which is still connected with Madras, you don't normally see a name board of a shop with "Madras" written on it anymore but there are plenty of name boards and sign boards with Madras. Soon we will be starting a separate space of our documentary works and street photography and we are happy that we started it with the heritage walk celebrating the Madras week 2017. 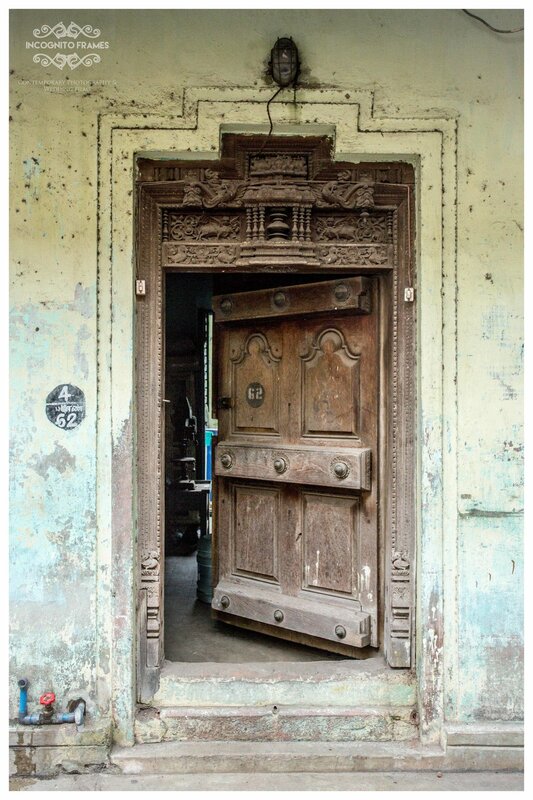 Thanks to Houses of Mylapore for making this happen. A few pictures from the walk - 20th August, 2017. Spotted this on top of a house. Guess its an East India company's logo! Tahir, from Houses of Mylapore, who was our guide is seen here explaining things in great detail and made the 2 and half hour walk interesting.